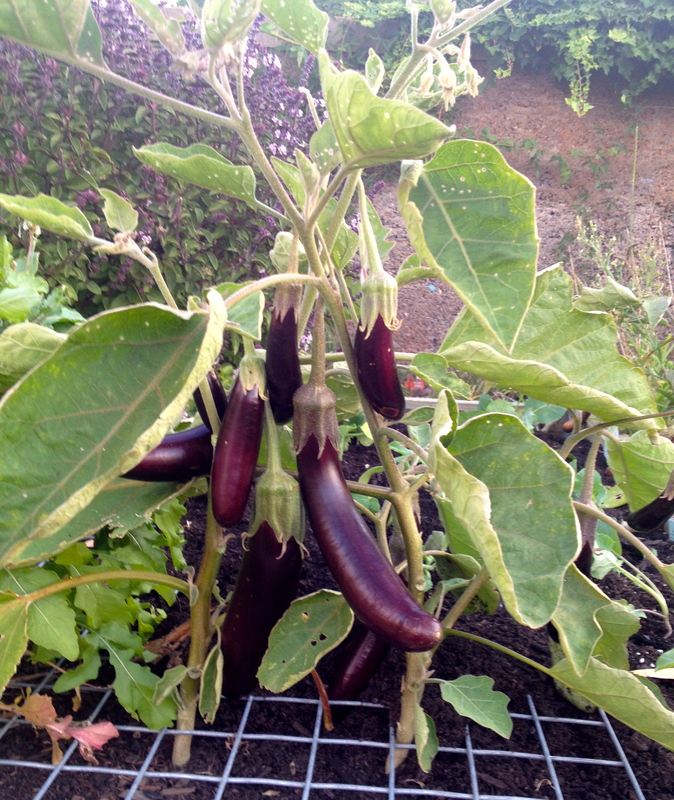 I love growing eggplants. The fruit is so dramatic and lovely. What with the new shop and show knitting (and other commitments), the garden has not been receiving the attention it needs. Now things are a little more under control and with great weather, including some much wanted rain, energies have been redirected to green things. 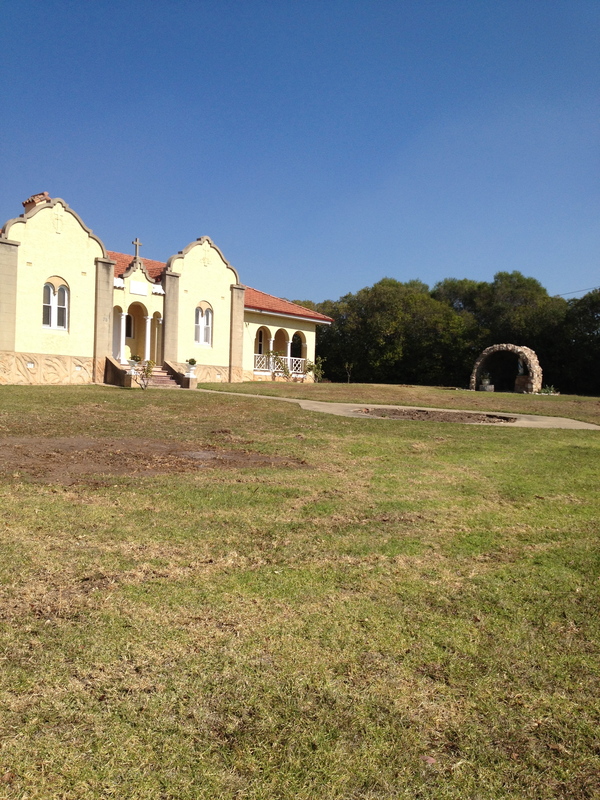 The Convent will also be one of the venues for the Cementa_15 artists and with lots of people wandering through the property over 4 days in April, I’d like the Convent to be shown at her best. 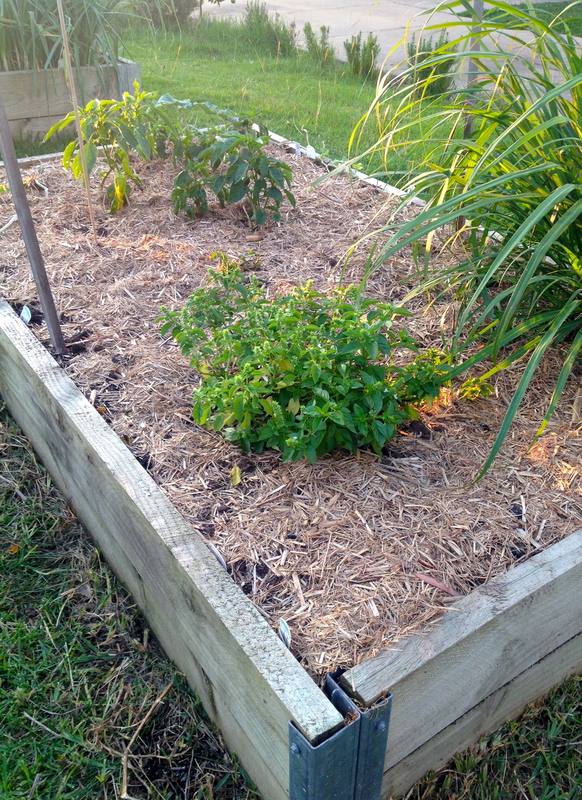 Beds replanted, mulched and ready to spring into action. Fortunately with some watering, mowing and a bit of weeding, the garden is now coming along well. 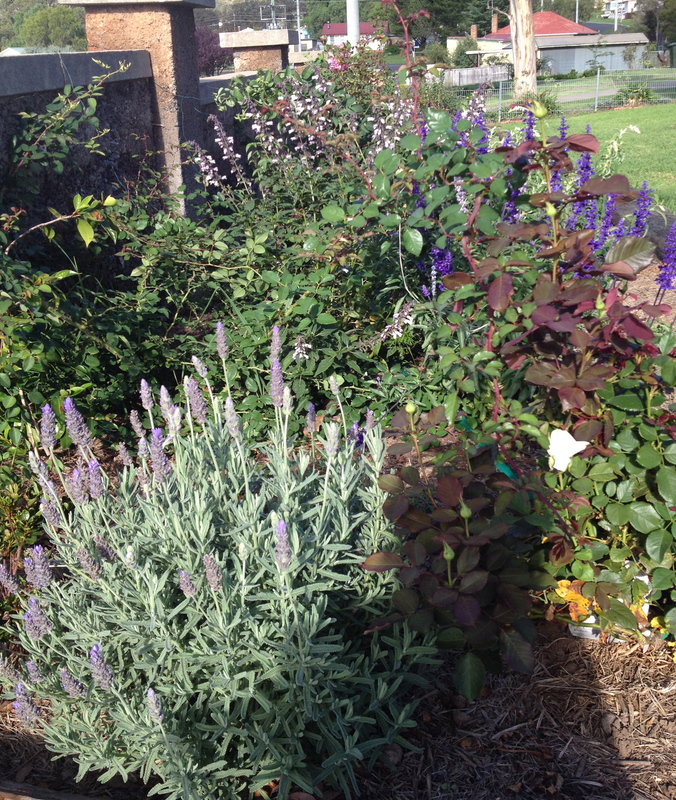 I’m now trimming, feeding and mulching which will also prepare the garden for Winter. As I see the garden every day, I tend not to notice how far it’s come and appreciate the changes as much as I should but taking new photos has been a good reminder. One of my focusses has been on the veg beds. I think I neglected these a little over Summer and they weren’t as productive as they should have been and I wasted a bit of produce too, but opening the shop was a pretty big commitment and I’m promising myself that this time around the beds will be well loved and the produce appreciated more. That being said, the colorbond fence bed which has made the bare side fence much more interesting, is now a wealth of produce and between the raised veggie beds and the fence bed, I’ve harvested masses of zucchinis and now reaping eggplants. The carrots continue to be abundant and I’m also now getting pumpkins. The original intention of the fence bed was to be a rambling pumpkin patch, so I’m delighted with these results. 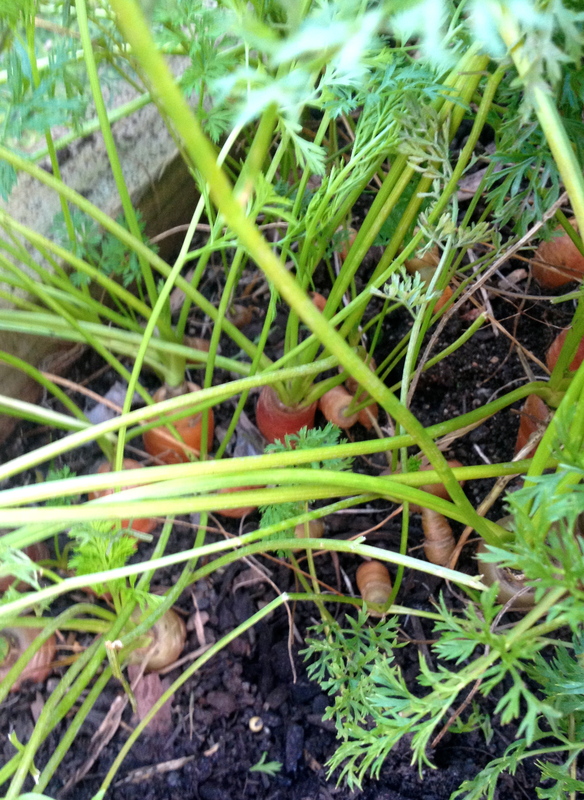 The carrots have lasted well and there are still many more to harvest. 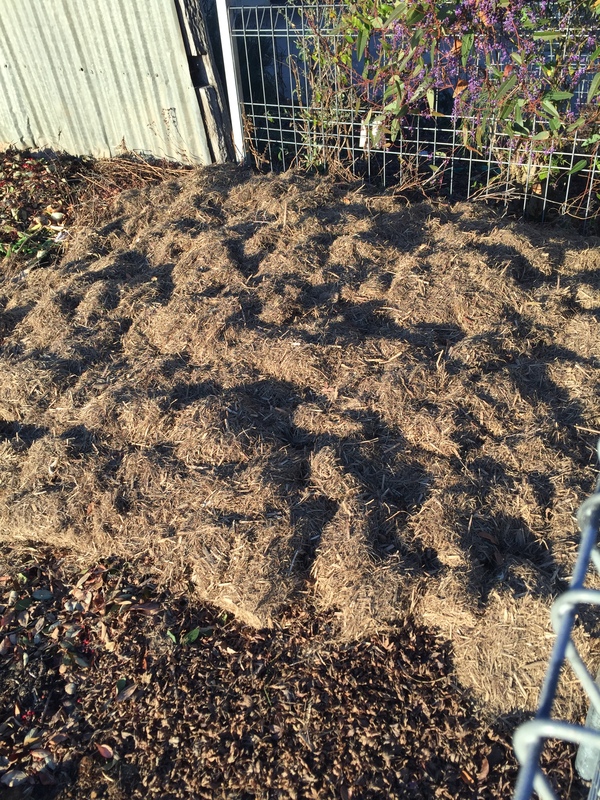 Beds have now been replenished, fed and mulched and are now planted with sugar snap peas, brocollini, rocket, beetroot, bok choi, chop suey veg and lettuce. 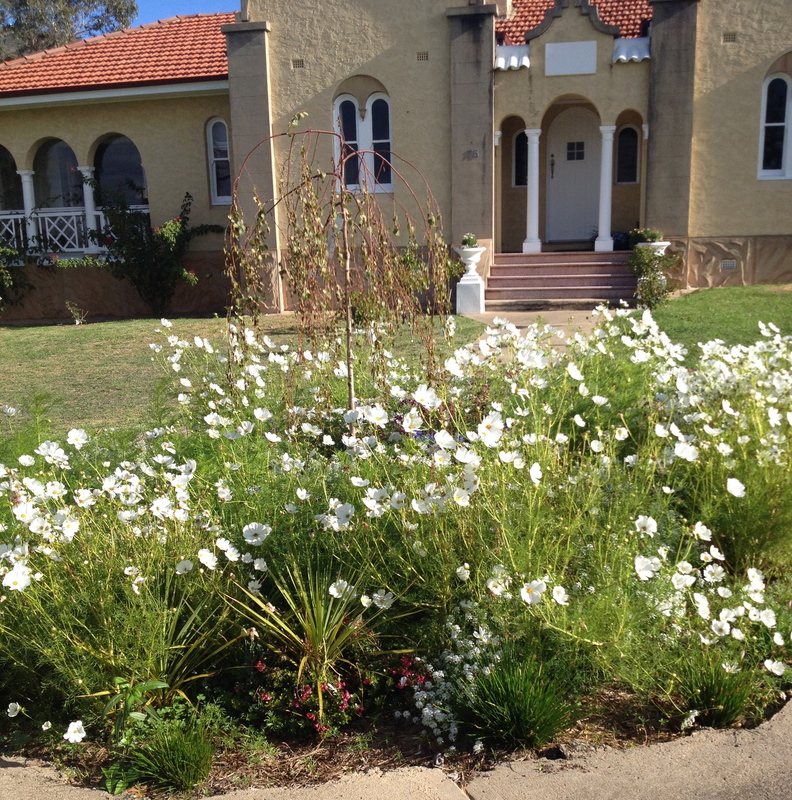 I’m hoping there will be established plants and new growth emerging for Cementa to give visitors a taste of a country garden. 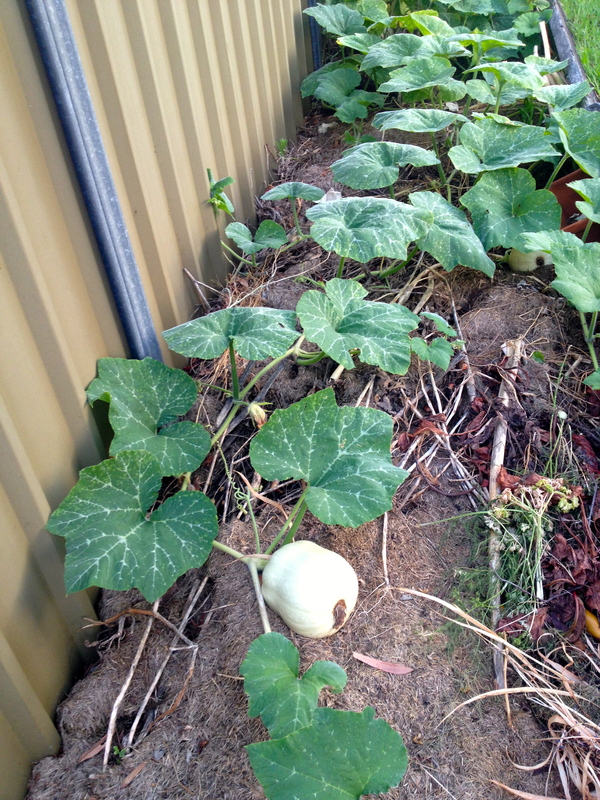 I think looking at my pumpkin bed, particularly now it actually has pumpkins, must be one of my best rewards. Phase Three of the privet will be total cut back. 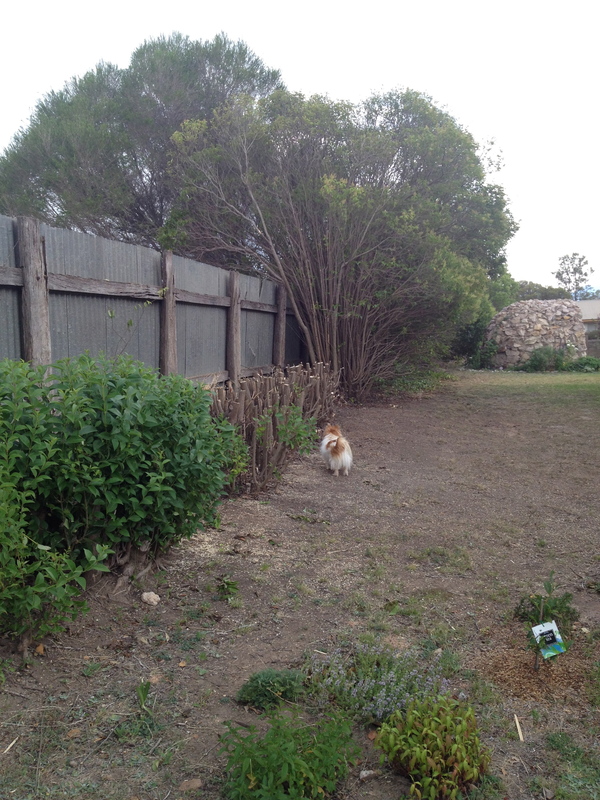 Now it’s Winter, I’ve been tidying up around the garden and planning next steps. Somehow these seem so much harder than my previous plans. I guess I’ve done the obvious. The garden was a blank canvas, so I’ve made beds around the property and filled in some obvious spaces, but now I need much more discipline and planning to go to the next level, with form and structure, rather than just ad hoc plantings. This has set me back a little as the stakes are now getting higher. I’d like at some point for the gardens to participate in the Open Garden scheme and know that I’ll be metaphorically standing alongside magnificent and inspiring gardens. 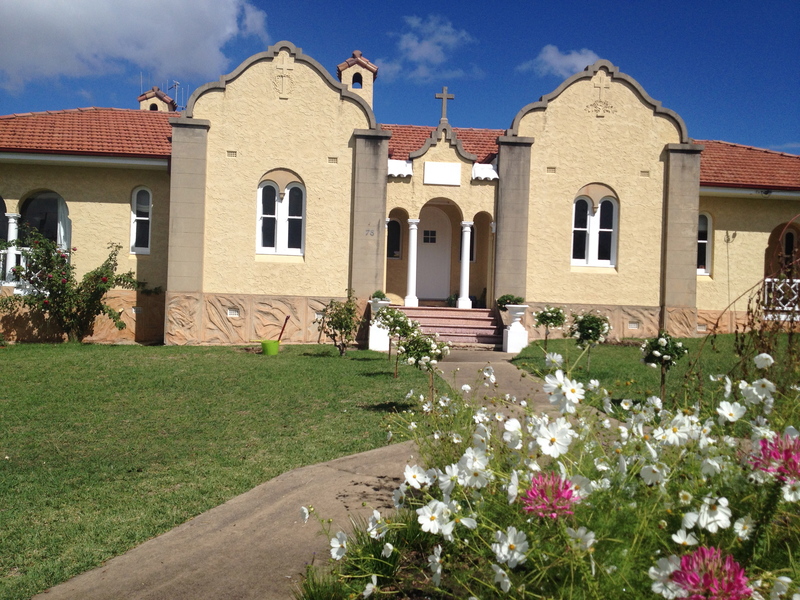 I don’t want major structural overhauls of the garden but want to plan out a garden that has structure, form and interest whilst looking like it belongs to the Convent. I’m happy with the beds I’ve put in place, and I think the smaller backyard is in good shape. 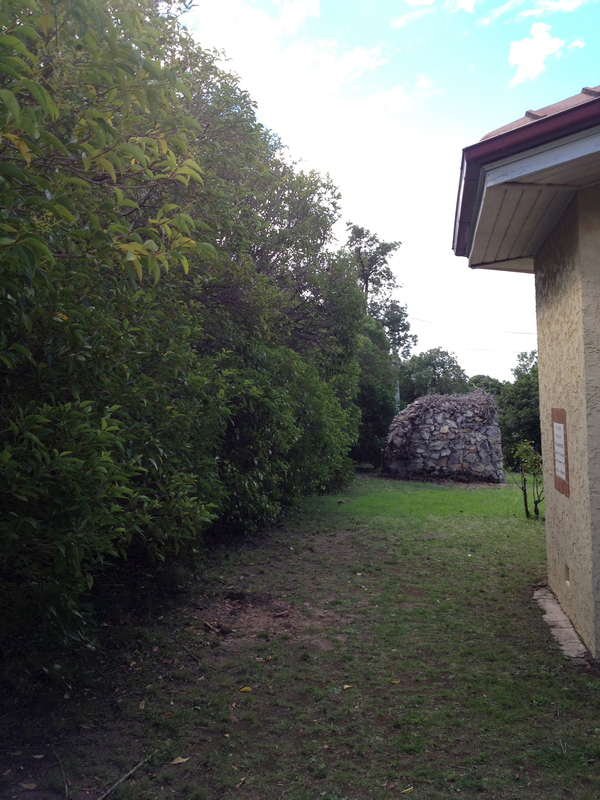 But it’s a big block with a sparse front yard and a large, imposing and somewhat stark building at present. 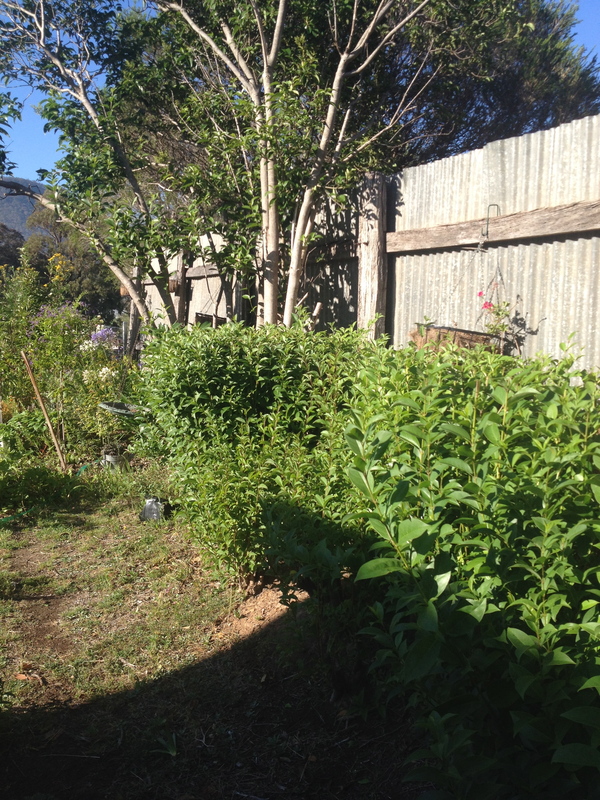 Phase one – the privet experiment was a section that was cut back hard. Success, with good clippable growth springing back. Phase two of the privet demolition. I know how I work and am unlikely to have a grand concept for the entire property (remembering I still have an untouched paddock next door), so am working in sections. I’d like a few areas that are clearly structured and identifiable. The privet is due to come down this week and that will make a world of difference to the property – tidying it up, opening up areas for planning, but also making it even more bare and stark. The privet experiment has proven that it will adapt back to being a neat trimmed hedge along the old galvanised fence, providing a level of formality that was once evident but has been sadly lacking for decades. It will also provide the framework for planting big old ramblers and climbers over the character timber and galvanised fence. And I’ll soften the front of the hedge with low plantings. 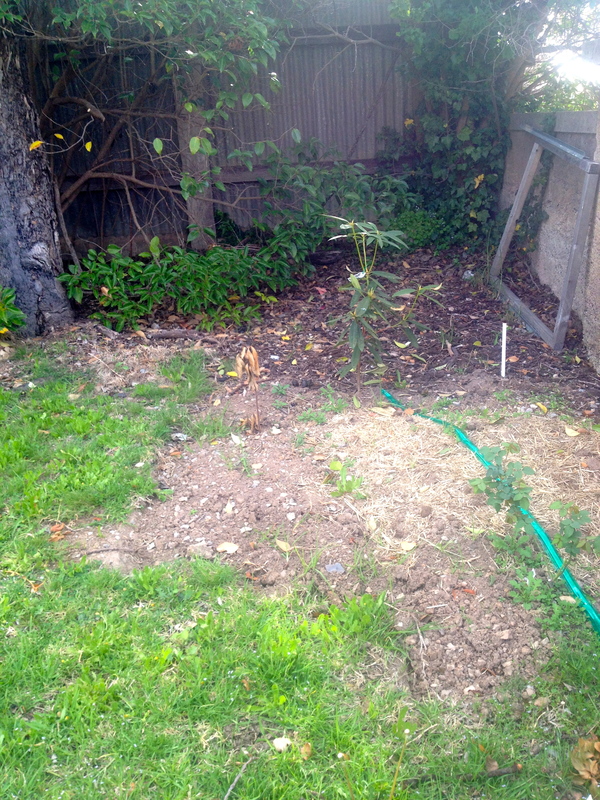 The other area to be adapted is the front left corner, which I intend to turn into a small grove, giving me a shaded corner in an otherwise expansive and exposed front garden. My current thought is to put in a small grove of maybe five silver birches, mulched underneath and planted out with white hellebores. I’m gradually expanding the right side fence bed, so with all those plans, I think this will keep me occupied for a while – and give visitors something new to see when the garden is again open to the public. At present I’m devouring gardening books and looking at as many gardens as possible – determining what I like and why and what I don’t think will work so well, being particularly mindful of my climate. It’s rewarding and fun but also a not insignificant challenge. Ground zero – just over a year ago. Filling out but still so much more in the works. After many months of no rain, we have had a number of days of good rain over the last few weeks, much to the relief of the farmers. 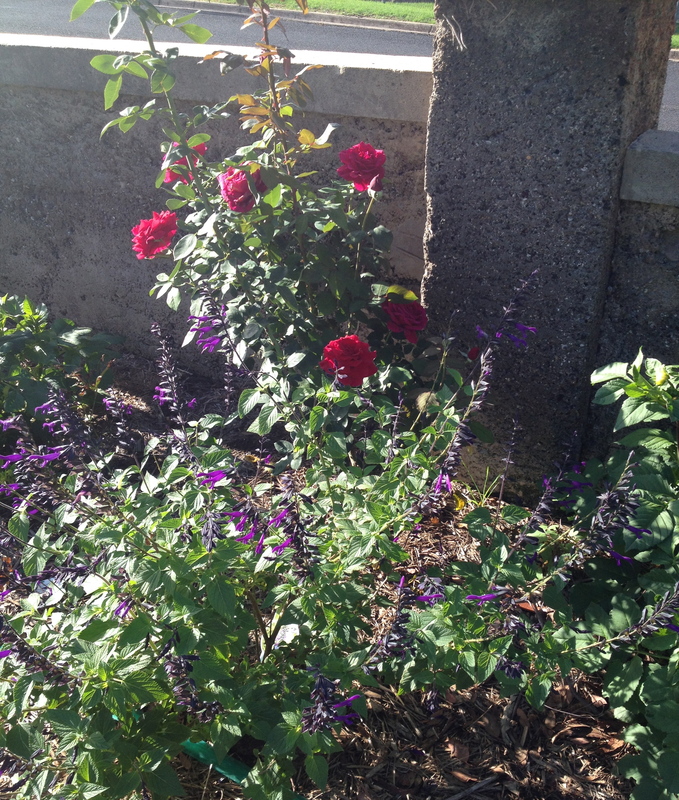 The garden is responding by leaping to life. I understand now much more clearly how watering just keeps gardens alive but rain makes them grow. The lawns are truly grass green but the most rewarding part is the front wall garden bed which was mainly established the last quarter of last year. I’m just starting to see plants peek over the wall from the front footpath, as is the grand plan. The roses are flourishing, they just need some serious training to get them to go over the wall as they seem intent on reaching out the other way and sprawling across the ground to the grass. 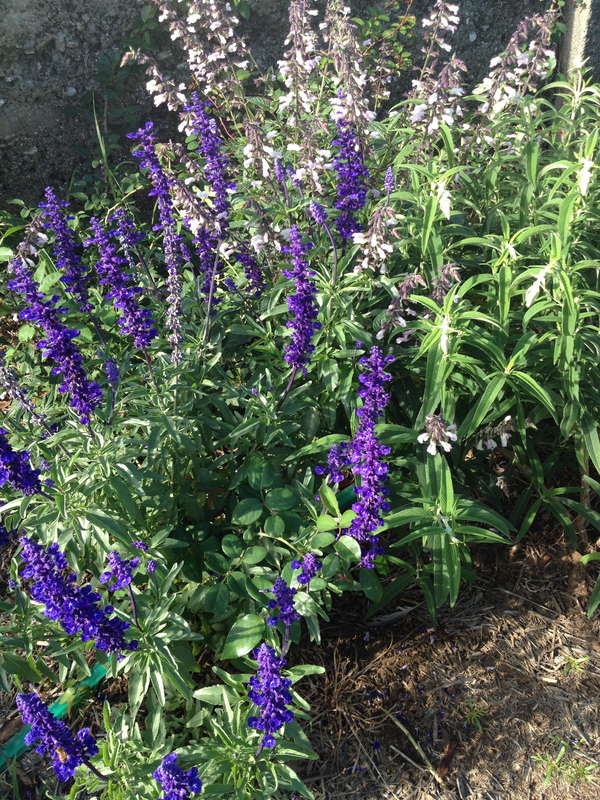 The Salvias are now hitting their straps as well, particularly the vibrant blue species. The front circular garden bed looks so much better with the white Cosmos which can be clearly seen from so many angles, including from the street. 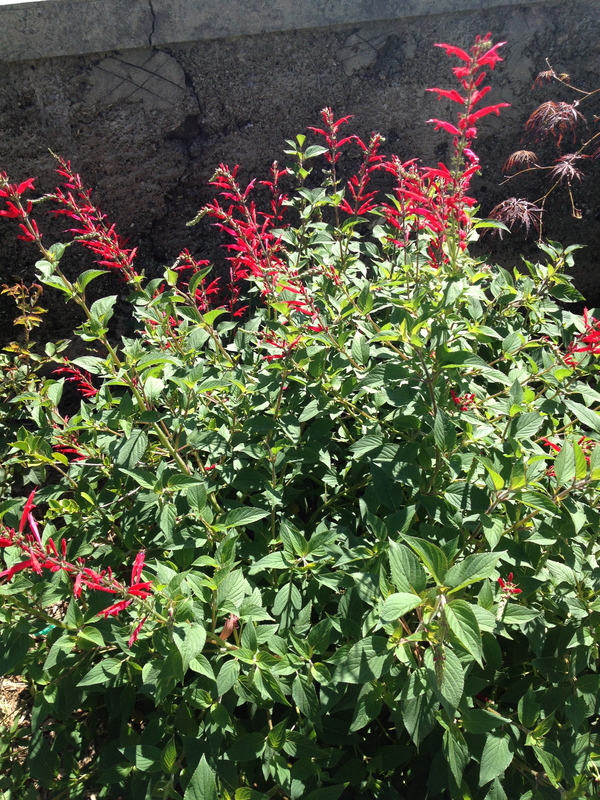 They provide a soft contrast to the Convent and are always swaying with the breeze. There are some other interesting plants in there as well for anyone looking around the garden. With the rain, I seem now to have millions of baby Cosmos springing up. Popcorn is making his presence felt – particularly as he loves to race up and down the front wall, taking breaks to jump up and look over. A few plants have felt his momentum and are no longer garden residents. He seems to have a set racing and turning track now that I just avoid planting. Once the roses kick in a little more, I’m sure it will limit his movements. 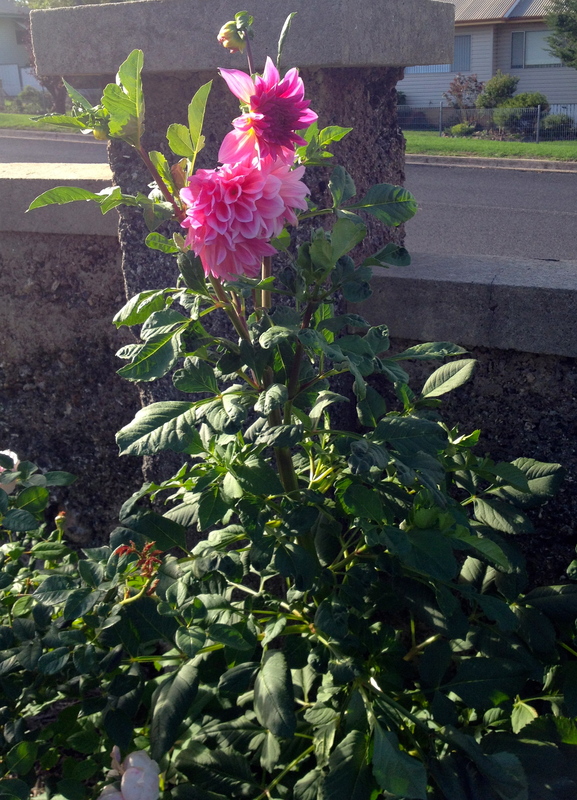 The roses have particularly enjoyed the rain and are now going through a strong growth phase. I just need them to grow in the right direction! This is Mr Lincoln. Other than bulbs, I’m now dialling back more ornamental plantings as I need to concentrate on the veg beds – cleaning out and replanting in preparation for Winter. In the meantime, I’m benefitting from what is currently ripening. In many ways this Summer has been disappointing as my first full season here, but one of the locals pointed out that it has been the worst growing season ever here in Kandos – two rounds of heavy hail that wiped everyone’s veg and stripped the fruit trees, an invasion of micro bugs that sucked so many veg dry and months of drought. It seems like I haven’t done that badly on reflection. Whilst tidying up the end of various flowers, I decided to make the most of the seeds they had produced. It seems a good approach to harvest seeds of flowers and plants that have done so well in this area. It should come in handy next time around instead of buying new seeds and may be useful as gifts or giveaways. So far I have cornflowers, love in a mist, parsley, coriander, hyssop, cosmos, hollyhocks, mustard lettuce, Queen Anne’s Lace and, of course, one of my favourites with their glossy black seeds – aquilegias. Of course, they may not grow, but it’s been fun and rewarding getting a little more value out of the plants and planning their next generation. 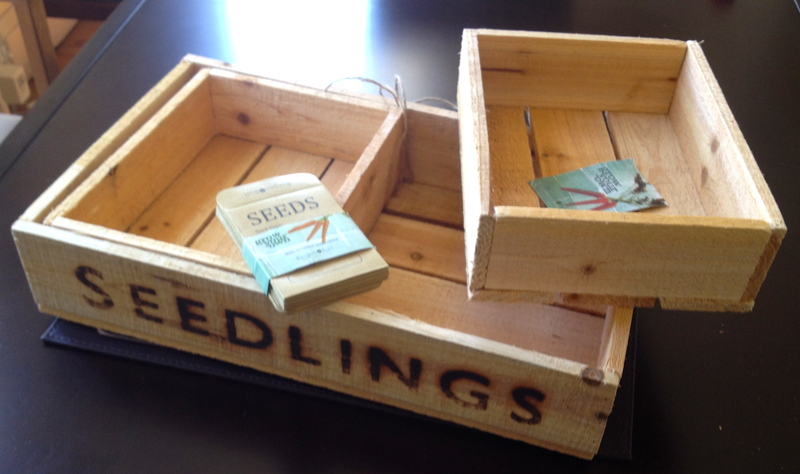 In a touch of serendipity, during this process my Christmas present arrived from my daughter overseas – a timber planting box for seedlings with lovely little seed envelopes. Much nicer than my cliplock plastic bags.